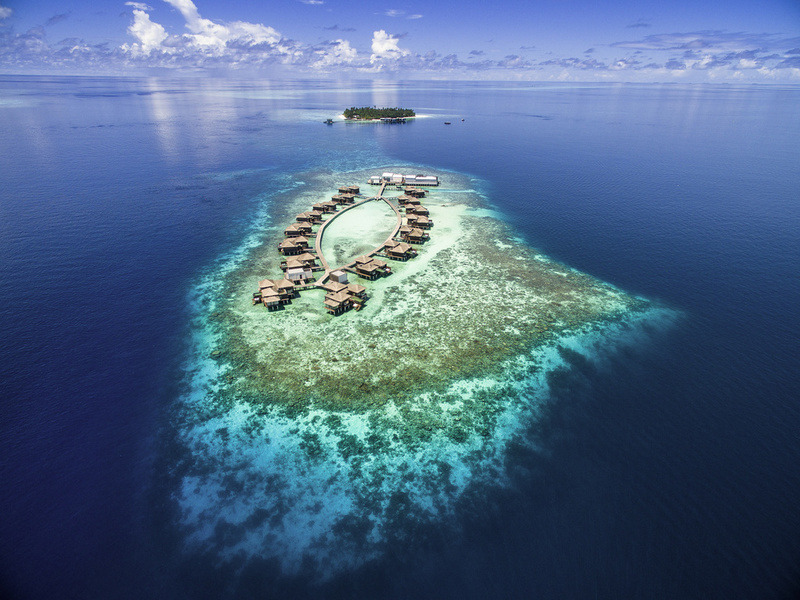 Raffles Maldives Meradhoo offers two distinctly luxurious experiences: Beach island experience launching on May 1 and Overwater experience on September 1. Yoga, fitness and the overwater spa restore equilibrium. Three restaurants serve incredible dishes from BBQ prime cuts to exquisite Nikkei cuisine and two bars serving tapas and crafted cocktails. The inimitable Raffles Marine butler service will elevate your stay into an unforgettable experience. Two private islands. One unique Raffles service. In the flickering light of the charcoal fire, watch our chefs use one of the oldest forms of cooking to create flavoursome feasts. The incredible clear sky creates a celestial show of outstanding beauty; a perfect destination for dining under the stars. The main island is home to Thari - our easy-going, all-day restaurant. From breakfast pastries and fruits to vibrant salads, a la carte dishes and themed dinner nights, guests can enjoy the open, relaxed atmosphere accompanied by the gentle ocean breeze. Indulge in the unique blend of flavours which is Nikkei cuisine at Yuzu, our overwater restaurant. Our chefs blend traditional Peruvian dishes with influences from Spain, Italy, China and Japan to capture the diversity of this unique culinary legacy. Yapa Sunset Bar draws its inspiration from the national drinks of South America and Japan. Indulge in the simple flavour of authentic imported Japanese Sake or a more complex cocktail such as Pisco Sour to freshen up your evening. With a list of vintages to match those reserved in the British Royal cellars, the Long Bar is dedicated to the most luxurious of moments. With its chic design and beachfront position, time spent here is the ultimate in elegant indulgence.